Computed tomography (CT) imaging is a powerful tool for understanding the composition of sediment cores. 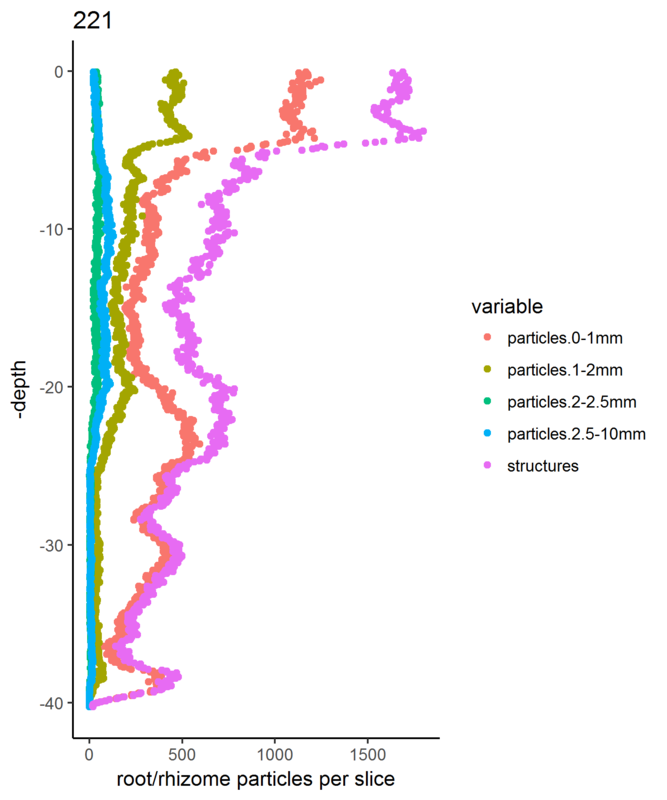 This package streamlines and accelerates the analysis of CT data generated in the context of environmental science. Included are tools for processing raw DICOM images to characterize sediment composition (sand, peat, etc.). Root analyses are also enabled, including measures of external surface area and volumes for user-defined root size classes. For a detailed description of the application of computed tomography imaging for sediment characterization, see: Davey, E., C. Wigand, R. Johnson, K. Sundberg, J. Morris, and C. Roman. (2011) . 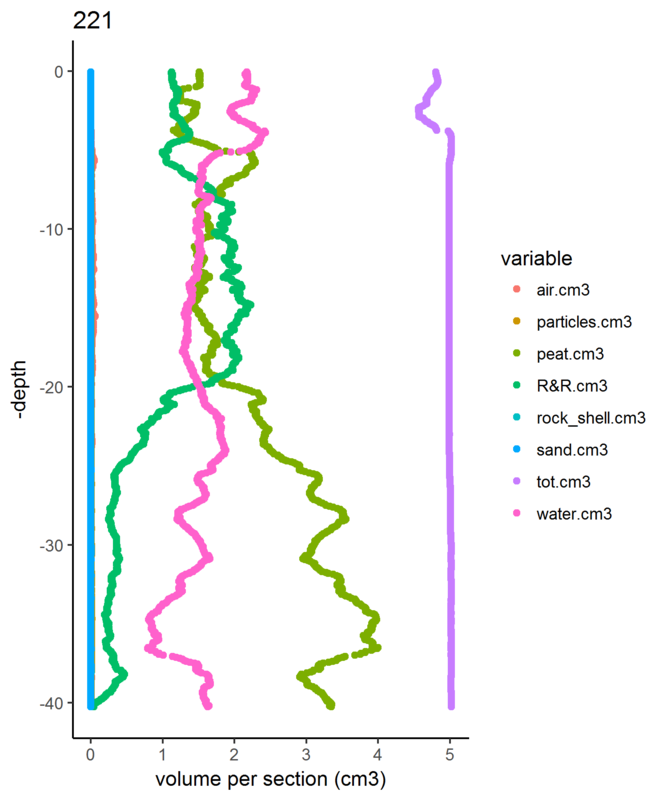 coreCT is an R package for programmatic analysis of sediment cores that have been digitized by computed tomography. The package converts Hounsfield Units to material classes (e.g., peat, root/rhizome, sand) and quantifies component masses and volumes. To get started quickly, check out the package vignette. coreCT output can be easily plotted using the reshape2 and ggplot2 packages (figures below were produced using the same code included in the help file examples). coreCT also quantifies the number of root/rhizome particles in a user-defined range of size classes, and calculates the external surface area and volume attributable to each size class. This allows the estimation of belowground plant organ contributions to total soil volume and, dividing by core area, elevation. Figure 2. 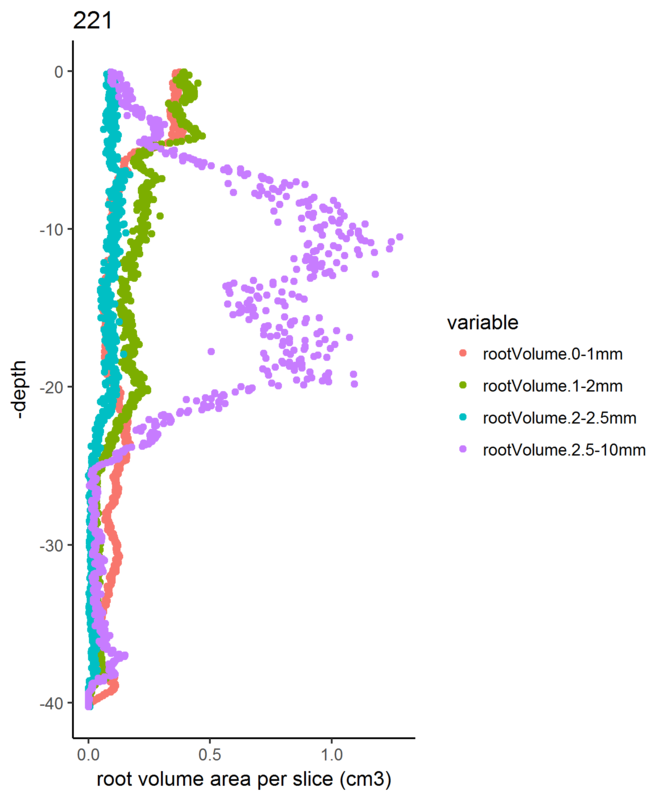 Number (left) and combined volume (right) of root/rhizome particles in each of four size classes. bug fix in conv(): categories with NAs are excluded from calculation of total masses, volumes, etc.